Did you ever see Rome from above? It's definitely a wonderful experience to enjoy the most breathtaking views of Rome from the "La Terazza dell' Eden". We arrived at the best time - about 08:30 p.m. The sun was in a wonderful position and gave the whole city a wonderful gold touch. A glass of Bellavista franciacorta gave us the perfect Italian feeling, and of course the best sparkling water filled our glasses- San Pellegrino ;). While we were overwhelmed by the view and the beautiful restaurant, the waiter braught us the menu. We decided to take the amazing Tasting Menu, a culinary trip through the cuisine of the michelin starred chef. The amuse-bouche was a newly interpreted Cesar Salad with fried chicken, parmesan ice cream and a sarde beneth. This was accompanied by a plain cold celery soup. 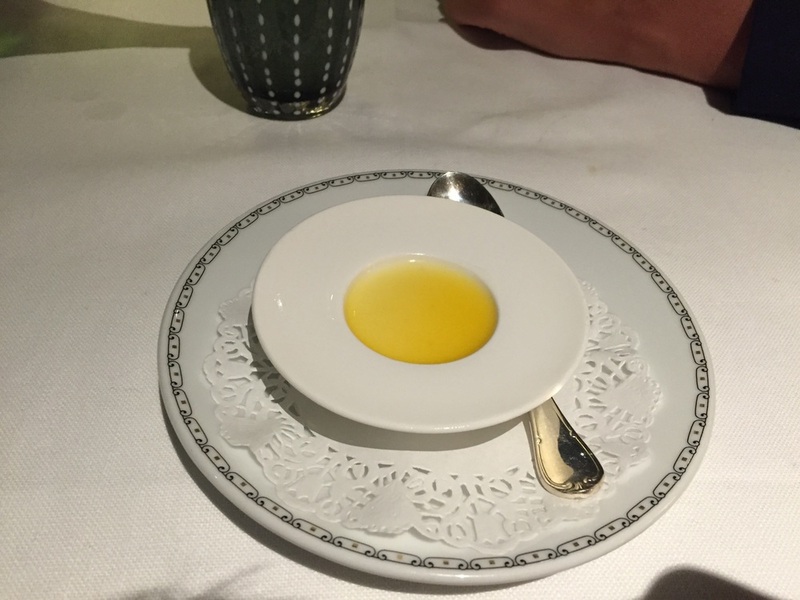 The entree were raw scallops with an exotic vinaigrette, a celery sorbet and Kaluga caviar - according to the menu. The second starter was a beef tartar with fresh herbes and quail egg and my colleauge had a variation of Foie Gras with rhubarb chutney. The "primi piatti" was more like a show, spaghetti with pecorino cheese and black pepper was served in a fog of dry ice. 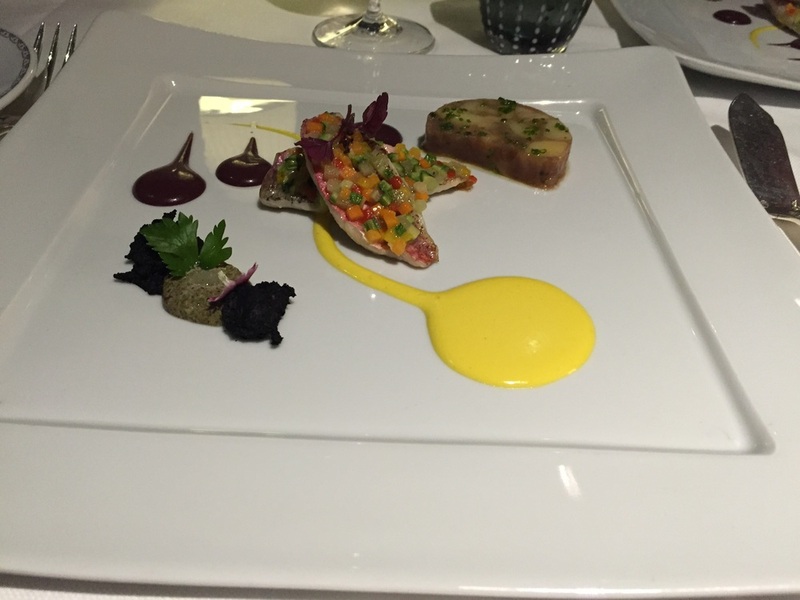 The first main course was a red mullet in a mediterranean crust served with a potatoe terrine and olives. The taste of the fish sadly didn't come through. Followed by a lovely marinated duck breast with a spicy pineapple and a perfectly matching sauce. It was a light main course, so we could enjoy the dessert as well. A granita of tarragon and martini did refresh before the deserts. An amalfi lemon cream was the first dessert and tasted amazing. The last course was an exotic fruite shot, a yoghurt icecream and a lemongrass sorbet with marinated strawberries (my favourite because of it's freshness). At the end an Italian ristretto is something not to be missed. 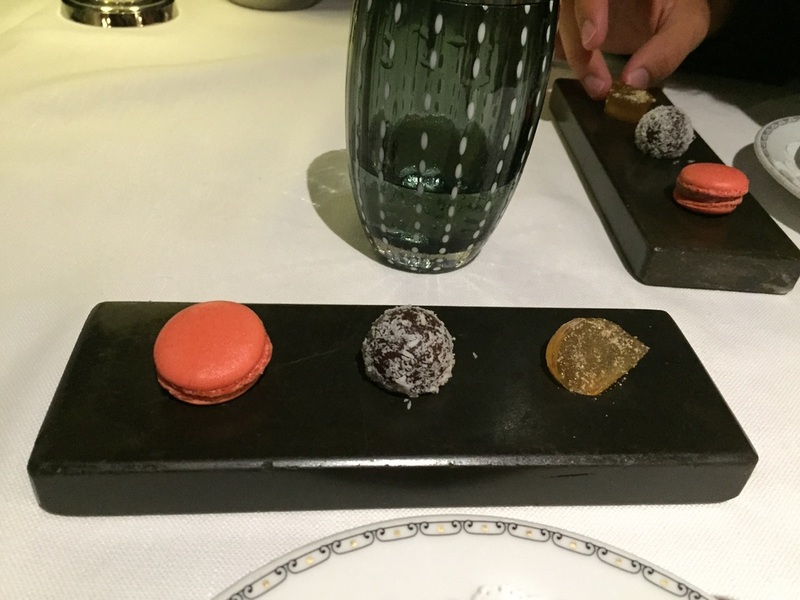 As petit fours we got a fruit jelly, a dark chocolate, coconut ball and a raspberry macaron. All dishes were accompanied by wonderful young Italian wines, which did fit perfectly to the wonderful courses. The service staff was very attentive and friendly. The restaurant is located on the top floor of the wonderful Hotel Eden, which is defenetly one of the best hotels in Rome. This property is situated very close to the Spanish Steps and convince with perfect service and elegant design. It is always wonderful to be at a property of the Dorchester Collection. We were guests of Hotel Eden Rome and the whole dinner has been sponsored. However our above written has not been influenced.